I have given the left credit many times for clever humor, even when their satiric efforts target libertarians. Well, it’s time to give the left credit again. I don’t know whether to call this satire, humor, or if I should just lump it in the catch-all category of social commentary, but it is effective. It’s visually powerful and leaves a clear message. Even the small touches are clever, including Bush and the Pope on the TV, as well as the IMF sticker on the IV pole (though I’m surprised, given the bureaucracy’s statist track record, that the left thinks the IMF is the enemy). But I’m not sharing this image out of pure appreciation for effective imagery. I also think it reveals two themes of left-wing thought, one foolish and the other legitimate. 1. The foolish theme is that rich nations are rich because poor nations are poor. This is the same mentality that you find among leftists such as Obama, who assume that rich people in America are rich because they somehow deprived the poor. 2. 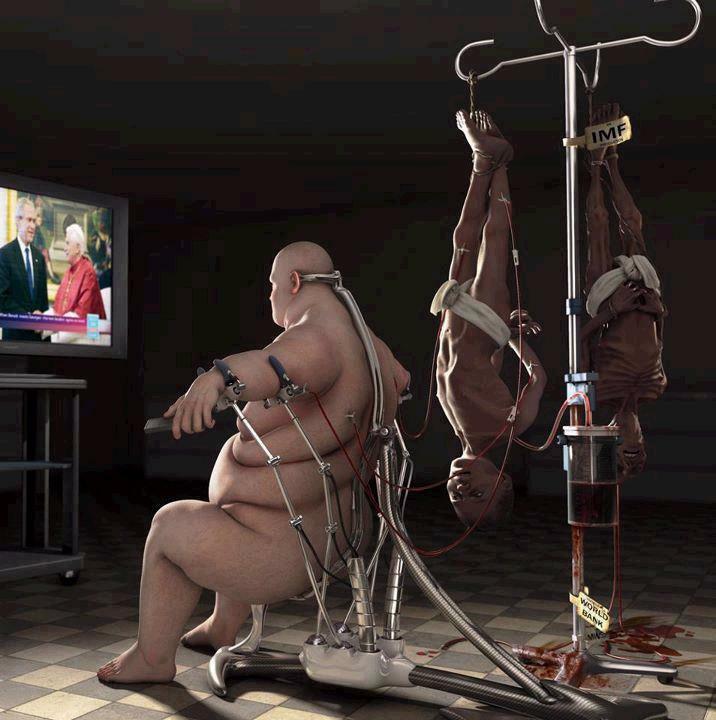 The accurate theme is that bigwigs sometimes use the coercive power of government to obtain unearned wealth. And in some cases, that unearned wealth comes from corrupt deals with politicians from third-world governments. I address both of these points in this interview, pointing out that true capitalism generates an expanding economy so that the rich and poor both benefit, but that cronyism enables the politically well-connected to rip off taxpayers and/or consumers. If we want to promote liberty, it would help to enlist the help of those leftists who legitimately want to make the world a better place (as opposed to the union thugs, political hacks, grievance mongers, and others who use statism as a racket to achieve wealth and power). We need to educate the honest left about why they’re wrong about the first theme and why we’re on their side regarding the second theme. The challenge is to teach them that good intentions sometimes don’t lead to good results, so that we can fix the mentality displayed in this cartoon. In their never-ending efforts to buy votes with other people’s money (see the first cartoon in this post), politicians have been expanding the welfare state and creating more dependency. This is bad for the overall economy because it means a larger burden of government spending and it’s bad for poor people because it undermines their self reliance and self respect. It also has very worrisome long-run effects on the stability and viability of a culture, as shown by these two cartoons. A stark example can be seen in the food stamp program, which has morphed from a handout for the genuinely poor to a widespread entitlement for everyone from college students to the Octo-mom, and for products ranging from luxury coffee to lobster. Here are some of the unpleasant details about the fiscal costs from Veronique de Rugy’s column in the Washington Examiner. When the food stamp program was first expanded nationally in the 1970s, just 1 in 50 Americans participated. Today, 1 in 7 Americans receive $134 each month… With the bipartisan Farm Bill going through Congress right now, these high levels of dependency may become permanent. Some 70 percent of the nearly $1 trillion Farm Bill recently passed by the Senate will be spent on food stamps — that’s $770 billion over ten years. …An estimated 45 million Americans received food stamps in 2011, at a cost of $78 billion. That’s a twofold increase from just five years ago when 26 million people received benefits at a cost of $33 billion. …food stamp enrollment increased and spending doubled, even as unemployment and the poverty level dropped modestly between 2007 and 2011. The more important part of the story comes from the eligibility changes implemented by the Bush and Obama administrations. The last sentence is the key. Eligibility has been expanded dramatically. Food stamps are slowly but surely becoming mainstream and that should worry all of us. But food stamps are just one form of income redistribution. Welfare spending also is a problem. Here are some excerpts from a New Hampshire story, featuring a store clerk who got fired because she didn’t think welfare cards should be used to buy cigarettes. Jackie R. Whiton of Antrim had been a six-year employee at the Big Apple convenience store in Peterborough until a single transaction sent her job up in smoke. The store clerk was fired after she refused to take a customer’s Electronic Balance Transfer card to pay for cigarettes. 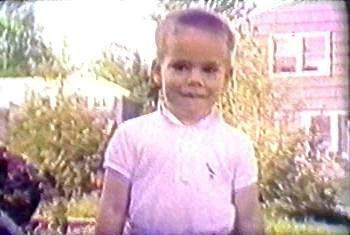 …Whiton said she did not think EBT cards could be used to purchase cigarettes and refused to sell to him. The two “had a little go-around” as the line got longer behind him, said Whiton. “I made the statement, ‘do you think myself, that lady and that gentlemen should pay for your cigarettes?’ and he responded ‘yes,’ ” Whiton said. …Charles E. Wilkins, the general manager of the C.N. Brown Co. that runs the stores, said the EBT cards in the cash phase could be used for any items, including alcohol, tobacco and gambling. Wilkins said the company gave Whiton the option of staying but she said she would not accept the cards anymore. “She didn’t think it was right and just wasn’t going to sell to people in that program anymore,” Wilkins said. Whiton said when she came to work the next day, her manager asked her how much notice she was giving. When she responded “a week,” she was told the home office had just called and fired her. Ms. Whiton is now one of my personal heroes, joining Mr. Mothershead, another store clerk who had the right reaction when confronted by someone who tried to get something he didn’t earn (albeit using a different tactic). Last but not least, here’s something that arrived in my inbox yesterday. A bit harsh, but we have gotten to a strange point where the Obama Administration is bribing states to add more food stamp recipients and even running ads to lure more people into food stamp dependency. So, yes, Billy Fleming (assuming he’s real) has a right to be upset. P.S. 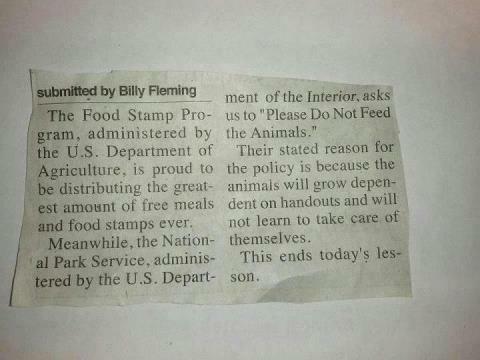 Here’s some more welfare humor. I’ve already thrown in my two cents on yesterday’s disappointing decision, and I was planning on ignoring the issue for a few days because I’m so irked by the result. But they say laughter is an effective part of grief therapy, so let’s take some solace in these cartoons. This first one is about the very serious issue of increased authority and power for the IRS. 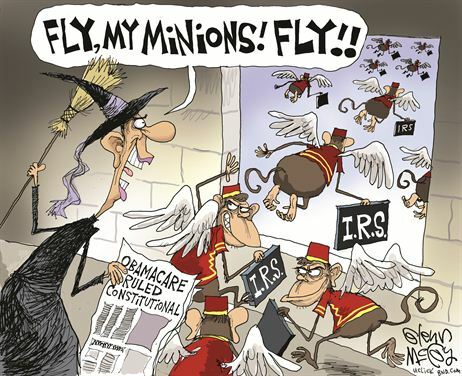 Technically, the Supreme Court decision didn’t give the IRS any more power than it already had been given under the legislation, but the cartoon isn’t claiming otherwise, so it gets points for being accurate and (tragically) amusing. 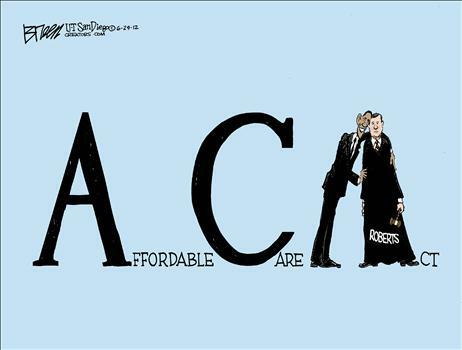 By the way, here’s a cartoon making a similar point from back in 2010 when Obamcare was being debated. 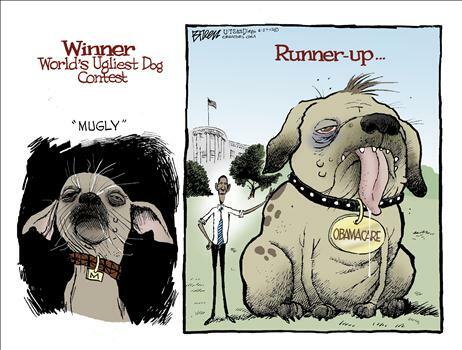 Next we have a cartoon about Chief Justice Roberts and his new BFF status with Obama. I almost didn’t include it because Roberts deserves nothing but scorn, but I don’t want my feelings to interfere. 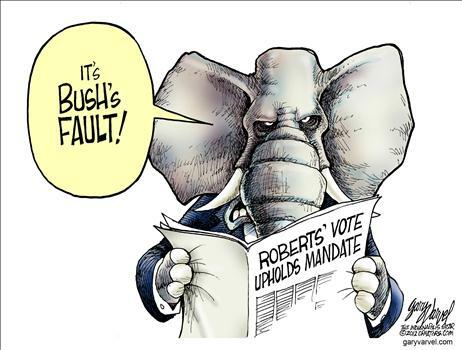 Speaking of Roberts, this next cartoon is accurate in many ways. It’s designed to blame Bush for appointing a Justice who would put establishment approval before fealty to the Constitution, but I think it’s also true because Obama might not have won – and the Democrats certainly wouldn’t have picked up so many seats in the House and Senate – if Bush had not imposed so much statist legislation and weakened the economy, thus paving the way for big Democrat victories in 2006 and 2008. 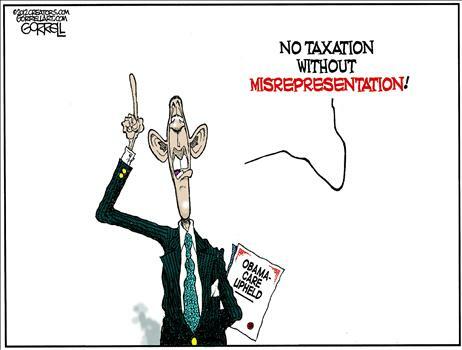 And here’s a cartoon making the obvious point that Obama prevaricated. 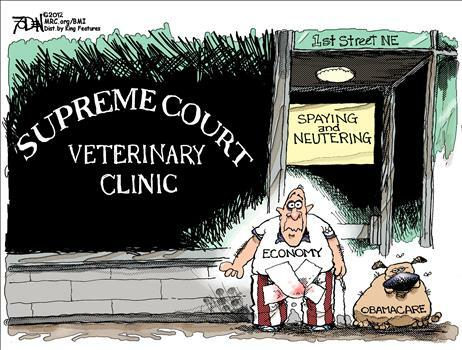 I’ve saved my favorite for last, showing how the Supreme Court botched its responsibility. But even though it’s my favorite of the five cartoons, I would make a change (just like I suggested alterations to a very good Chuck Asay cartoon back in April). I hope all these cartoons make you feel a bit better. If not, you can look at some R-rated Obamacare humor here, here, and here. And, just for the heck of it, here’s a PG-rated Obamacare joke to end on a more subdued note. My video on Obamacare, for instance, completely focused on how the legislation would expand the burden of government. The mandate is a bad idea, without question, but it’s also a big mistake to impose more spending and taxes when government already is far too big. I’ve repeatedly written that the only way to fix healthcare is to get rid of the government-created third-party payer problem. So while I want a full-repeal birthday present from the Supreme Court, that will only provide fleeting happiness unless we solve the third-party payer problem caused by Medicare, Medicaid, tax distortions, and other forms of government intervention.